We specialise in Low Mileage, Non-Accident damaged vehicles, as we believe in our customers purchasing a great vehicle today, for their safety and better resale value in the future. We have a large selection so please check out our vehicles to see what we have available. We specialise in high grade quality vehicles that we are confident when compared to others you will be able to see and drive the difference. Come in and test drive to experience the true quality for yourself. 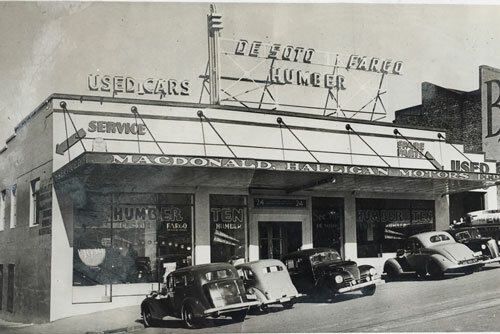 Established in 1938 we have a history of supplying good quality cars from our low overhead sales yard to provide continuity of service for the future. 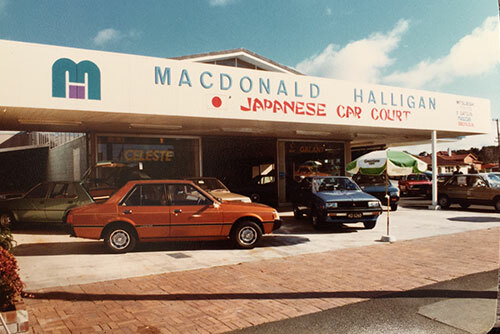 If finance or lease options are required, Macdonald Halligan Motors offers competitive packages to suit individual needs. We operate our own finance company and have associations with several other financial institutions. Our workshop facility is operated by an independent company, One Stop Mechanical Servicing Limited, who have extensive experience in all forms of vehicle maintenance at competitive prices (well below current franchise rates). We have late model mid size cars, automatics with air conditioning, ABS, dual airbags. All our cars are kept in top condition and at excellent rates. 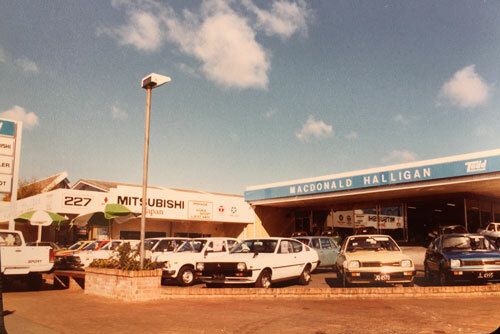 Macdonald Halligan Motors Limited established in 1938, is a Family Business and has over the years sold Humber, Sunbeam, DeSoto, Chrysler and more recently Mitsubishi and Subaru new vehicles. 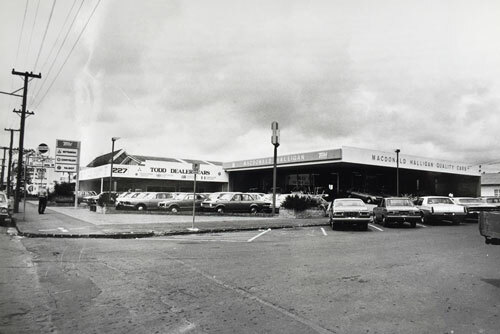 An associate company, La Marque European, also held the franchise for many European makes including Peugeot, Volvo, Alfa Romeo, Citroen and Seat. 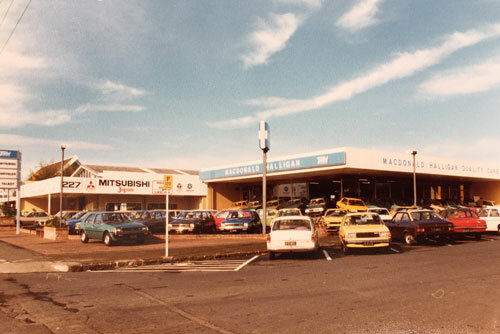 The company owns premium car sites in Greenlane which are leased to Armstrong Motor Group with Toyota, Citroen, Peugeot and DS Franchise Showrooms. We operate our own finance company that allows us to be very competitive on rates using the AA rate as a guide and can accomodate normal Hire Purchase transactions, Hire purchase with balloon payments at the end of the term, and Lease payments. We can tailor finance to customer needs. Insurance - All our vehicles have available the Motor Trade Association (MTA) warranty. Extended mechanical warranty insurance ( from a world wide Insurance company ) for up to three years is also available. We have an affiliation with ‘One Stop Mechanical Servicing’ at 15 Kalmia Street, Ellerslie (100 yards from our yard) who can provide servicing for all makes and models at very competitive prices. ‘One Stop’ does required servicing and repairs to our vehicles before sale and attends to any warranty issues with our vehicles sold in the Auckland Region. Location has easy access to Ellerslie Railway Station for city and southbound customers or spend a while at the Ellerslie Shopping Centre (A few minutes away) while you wait for your car. Located between Auckland Airport and the city, near the Ellerslie and Greenlane interchanges to the Southern Motorway - 10 minutes to city. Rentals available: late model mid size cars, automatics with air-conditioning, ABS, dual airbags. All cars are kept in top condition. Competitive rates $42 per day, unlimited rate all inclusive, minimum 4 days, insurance bond $895, reducible to $295 for $14 per day. Daily time and mileage rates available for periods less than 4 days. Open Monday to Friday (8.30am-5.30pm), Saturday (9.00am-5.00pm) and Sunday (By Appointment). Cars can be collected or dropped off outside these hours by arrangement. Taxi fare from Auckland airport approx $45 (Discount Cabs Ph. 09 529 1000). 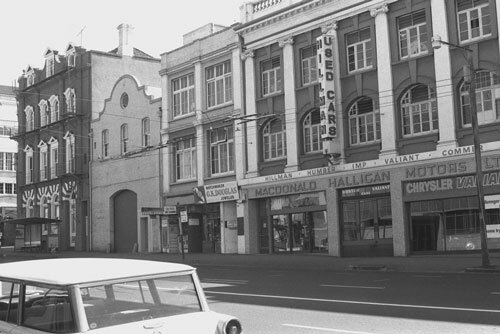 Auckland collection and drop-off of rental cars only.